A medical examiner vehicle left with a third body from crime scene on Thursday. 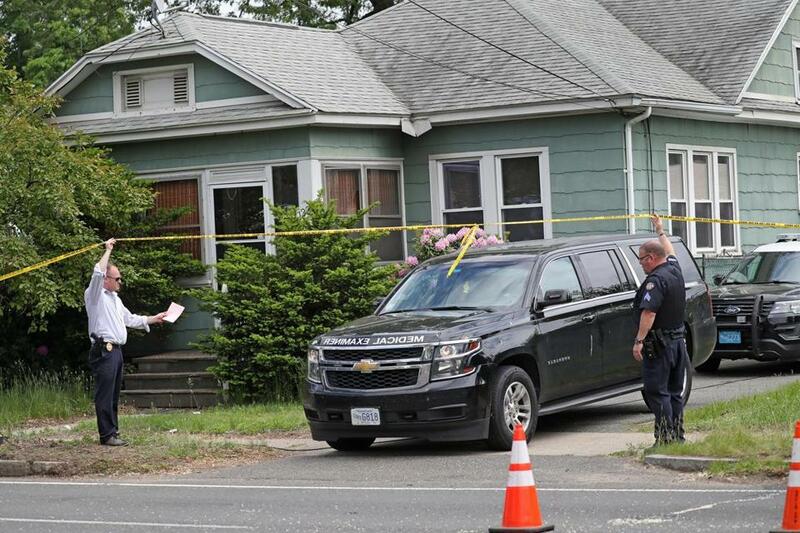 SPRINGFIELD — Four days after police pulled over a man for a broken taillight, investigators have discovered three bodies at his home in a busy neighborhood here, authorities said Thursday, a grisly find that horrified neighbors. In a Thursday night press briefing down the street from the Page Boulevard home, Hampden District Attorney Anthony D. Gulluni said investigators had found the bodies at the home of Stewart Weldon, a 40-year-old who was arrested Sunday on kidnapping charges after a passenger in his car told police Weldon had been holding her captive for about a month. The woman was badly injured and said Weldon beat her with a hammer when he got angry, according to police. Authorities described her as an acquaintance of Weldon. The woman, whose name was redacted in court records, frantically told police that Weldon was going to kill her and said, “Thank you guys for saving my life, I didn’t think I was ever going to get away,” a police report stated. Investigators descended on Weldon’s home on Wednesday evening, and early Thursday afternoon announced they had discovered two bodies “in and around” the home. The third body was found around 2 p.m., authorities said. Gulluni declined to say specifically where the bodies were found, how long the people had been dead, or their gender. The cause of their deaths has not been determined. Weldon has not been charged in connection to the deaths. He is being held on $1 million bail on the armed kidnapping charges. Investigators planned to continue their search Friday morning, he said. 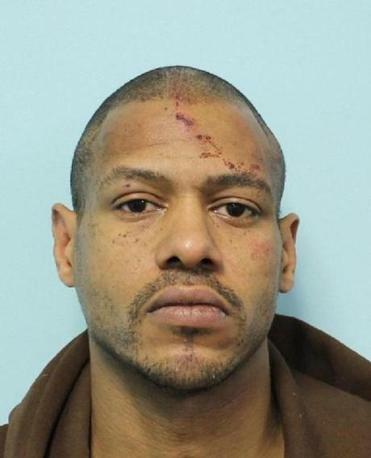 He initially slowed down for police who tried to pull him over in the area of Wilbraham Road but then sped off, according to a police report. The chase ended in a violent struggle, and Weldon was placed in handcuffs. When he was taken into custody, Weldon was carrying a large knife in his hoodie and a second knife in his rear left pocket, according to court records. The woman with Weldon was “crying uncontrollably,” police said. Her right leg was “very infected” and there was severe swelling. A doctor at an area hospital later noted additional injuries including a possible fractured jaw, large scrapes, scratches, old and new bruises, stab wounds to the abdomen, and “marks from being hit with a blunt object,” the report said. The woman also said Weldon had raped her repeatedly. 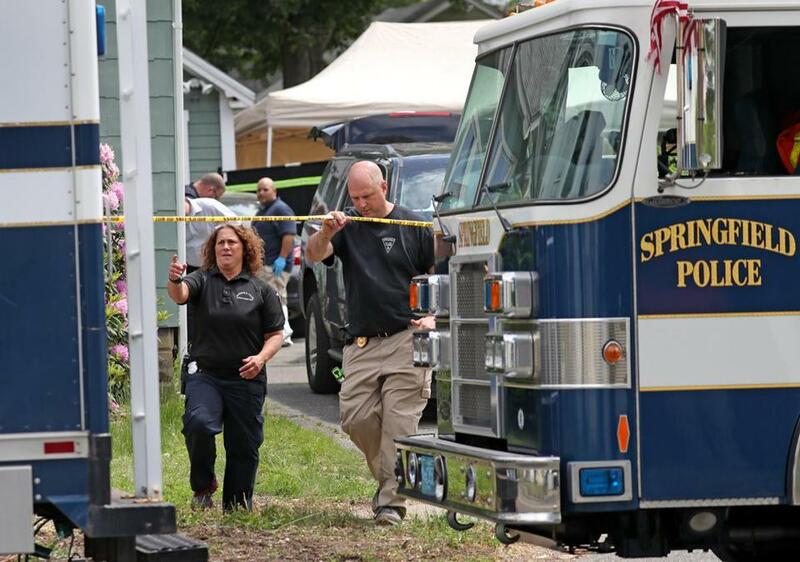 Police searched the yard of a Springfield home after discovering at least three bodies. “I believe that due to the grotesque and violent nature of [the woman’s] statements” and Weldon’s defaults on prior cases, “that he is a high flight risk, and an extreme danger to the public,” Springfield Officer Daniel Moynahan wrote in the report. The district attorney, meanwhile, indicated that the investigation was rapidly yielding new information. 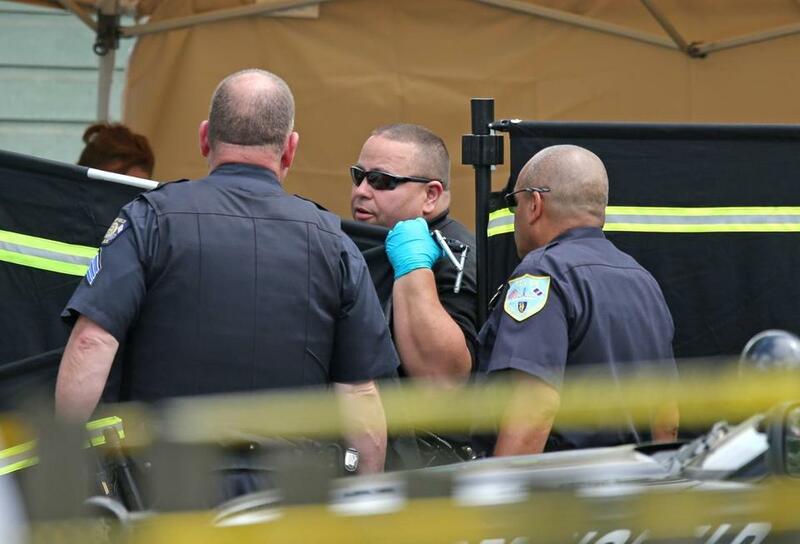 Residents said they were stunned by the discovery of three bodies in their neighborhood. Quinones and another neighbor, Scott Griffin, said Weldon moved onto Page Boulevard about two years ago. They described Weldon as antisocial. When investigators arrived at the home, the smell from the property was overwhelming, neighbors said. Weldon had lived at the house with a young woman and a teen, according to the two neighbors. Loud arguments were often heard inside. Another neighbor, Stefan Davis, said that on Sunday he saw Weldon frantically searching in his front yard in the rain. Davis did not find out what happened until Wednesday, when police opened Weldon’s garage and pulled out a body in a sheet of plastic, he said. “The stench was so foul,” he said. Springfield police prepared to remove a body. As crime investigators donned white suits, Davis thought about the young woman he saw at the house. She never spoke and was rarely seen, outside of scurrying between a car and the house. “She didn’t look much older than my students,” said Davis, a high school teacher. In addition to the kidnapping charge, Weldon is being held on charges including threatening to commit a crime; resisting arrest; driving with a revoked license; and failing to stop for police, records show. He was also booked on default warrants in prior cases charging multiple motor vehicle offenses and assault with a dangerous weapon and assaulting a police officer, among other counts. Weldon is unemployed and was previously shot, according to his booking sheet, which listed “bullet wound” under a section for marks, scars, and tattoos. A booking sheet described his general appearance as “rough” when police took him into custody. He is 5-foot-11 and weighs 150 pounds, according to court records. John R. Ellement and Maria Cramer of the Globe staff contributed to this report.